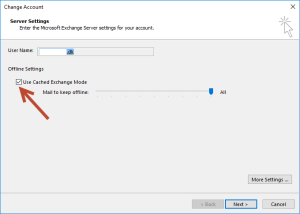 Note that the following blog only works if you are connected to an Exchange server. 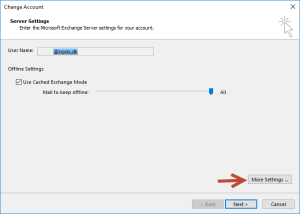 If your Outlook is connected to an Exchange server you have the ability to run either Online Mode or Cached Exchange Mode. 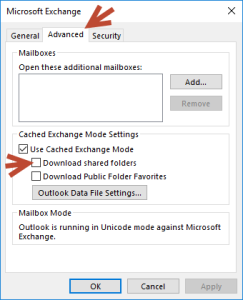 Outlook Online Mode means that you have a direct connection to the Exchange server. 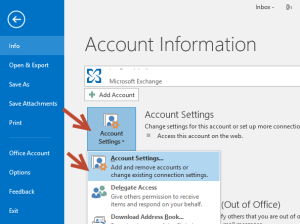 It also means that you can only work with your messages if you are connected to the server, you will also find that Outlook can sometimes run poorly if your Internet connection is very slow or unstable. Cached Exchange Mode can give you a better experience when using Outlook and most users will find that Cached Exchange Mode is running faster than online mode. Use of Cached Exchange Mode protects user for network outages and server problems, and makes it possible to work offline. When you are in a plane or some where without internet access, your calendar will work offline. 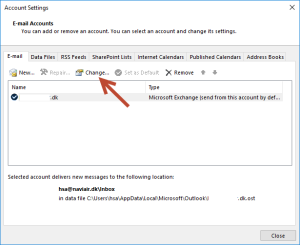 Next time you have connection to your server, Outlook will sync every change you made when you were offline. The advantage of Cached Exchange Mode is that the content of the mailbox is available when you are not connected to the Exchange server. 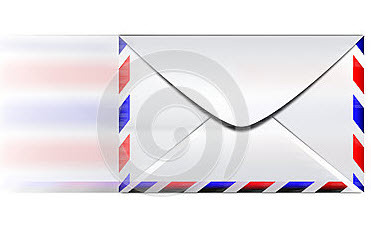 When you have connection again to your Exchange server, new mail arrive with a slight delay. 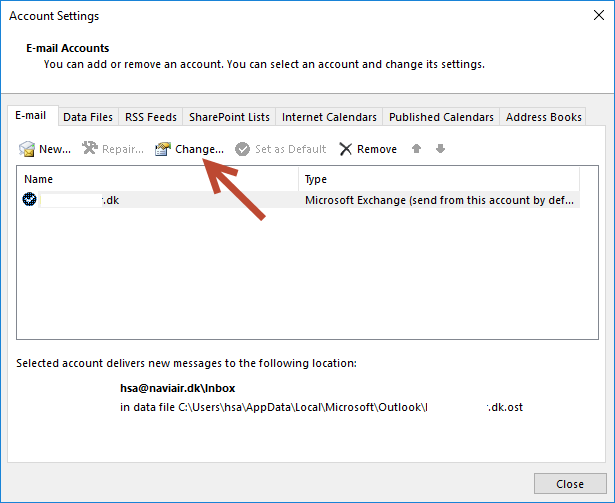 This is because Outlook by default will check for new messages every 30 seconds by default when running Cached Exchange Mode. Place a check mark in Use Cached Exchange Mode -> Click Next -> Finish. You must restart Outlook for the changes to take effect. Note: The time required to complete the initial synchronization will depend on the size of your mailbox. Accessing your emails are only available after the initial synchronization is complete. 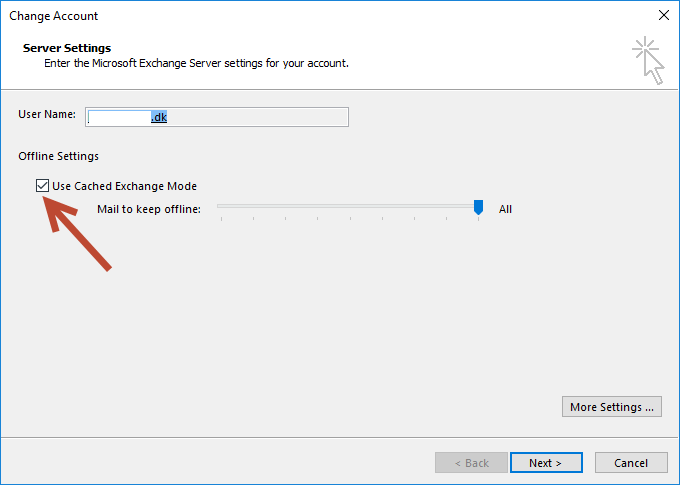 To disable Cached Exchange Mode, follow the above steps, but instead remove the checkmark from “Use Cached Exchange Mode”. 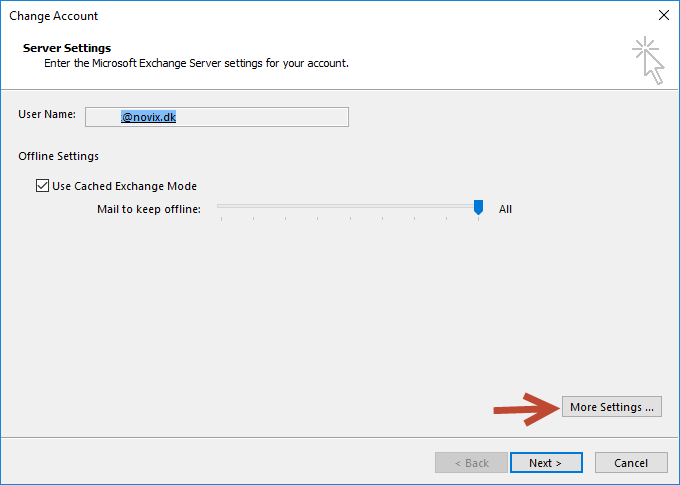 Some users will find that some of the additional calendar they have access to is not always update live when Cached Exchange Mode is enabled. If you are having issues with shared calendars not updating, disabling cached mode for shared folders may fix the bug. Go to Advanced tab and remove the check mark in Download shared folders -> Click Ok -> Next -> Finish. Note: You must restart Outlook for the changes to take effect.